Muslim herdsmen attacks on individual farmers continue unabated. LAFIA, Nigeria (Morning Star News) – A 60-year-old Christian farmer was hacked to death with machetes last week, the latest victim of attacks by Muslim Fulani herdsmen in Nasarawa state who have burned church buildings and homes and destroyed crops in the past four years. Barki Baikoh was working on his farm outside of Andaha town on Aug. 24 when a group of herdsmen attacked him, area resident Jibrin Manager told Morning Star News. 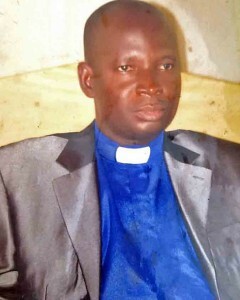 Manager said Baikoh, a parishioner at St. Joseph’s Catholic Church in Andaha, had recently told family members that he had received threats from Fulani herdsmen who tried to attack his farm. Police have arrested one of the herdsmen who assaulted Baikoh and are holding him in Lafia, the state capital, he said. The killing comes after Muslim Fulani herdsmen with machetes on June 30 killed the Rev. Zakariya Joseph Kurah of the Evangelical Church Winning All (ECWA) while he was working at his farm in Obi. Christians in Nasarawa state, in Nigeria’s middle belt, have recently suffered loss of life, crops, home and education for their children at the hands of the herdsmen, according to a 2015 study commissioned by Christian support group Open Doors. “The conflict in Nasarawa state is such that ethnic nationalities with a high Christian population are usually targeted, without any established or known provocation other than the difference of Christian faith to Islam,” the study reported. The Rev. 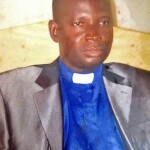 Emmanuel Haruna, chairman of the Lafia District Church Council of the ECWA, told Morning Star News that Christians have suffered attacks by Muslim Fulani herdsmen unabated for four years. Killing and displacement of ECWA church members have occurred in Adanba, Angwan Dariya, Ogeni, Udeni, Indeshi and Rutu, he said. Attacks forced the ECWA to shut down four of its congregations, as all members in those villages were either displaced or killed, he said. The herdsmen attacked church members in Ogeni, and most of them are now living in Agbashi as refugees, he said. In Udeni, he added, herdsmen destroyed church members’ homes and killed many members of other churches. Survivors have fled to Agbashi and Doma, while others are living in Lafia as displaced persons. Christians in Indeshi were also terrorized, and many had to flee, he said. Seven churches were attacked in the Adanba area, and all Christians there were displaced, he said. “In Agwan Dariya village, six of our members were killed,” he added. Attacks by Muslim herdsmen resulted in 13 of the denomination’s pastors in the state losing their homes and property, he added. Pastor Haruna called for prayer for Christians in Nasarawa state and throughout Nigeria. Pastor Haruna appealed to the federal and state governments to take measures to stop the attacks and to help those displaced by the violence. Fulani herdsmen have long attacked Christian farmers in Plateau, Bauchi, Kaduna, Taraba and Adamawa states, but recently analysts have begun to see some ties between the assailants and Islamic extremist groups keen to exploit longstanding ethnic, property and religious conflicts. Muslim Fulani herdsmen from Nasarawa state and Islamist mercenaries from outside Nigeria have attacked villages in neighboring Benue state, killing five Christians in December 2014. The Fulani herdsmen from Nasarawa state, with mercenaries from Chad and Niger, razed several villages, destroying homes and church buildings in the predominantly Roman Catholic Agatu Local Government Area and forcing hundreds of Christians to flee. In a massacre in February, Muslim Fulani herdsmen killed an estimated 300 Christians in Benue state. Nigeria ranks 12th on Open Doors’ list of countries where Christians suffer the most persecution. The Muslim population of Nasarawa state could be as high as 32 percent, with Christians making up as much as 65 percent, the Open Doors study estimated based on unconfirmed figures. Of Nigeria’s overall population, Christians make up 51.3 percent, while Muslims account for 45 percent. Pastor Haruna said the attacks have been carried out for four years without the Nigerian government making any effort to curtail them. “At one point we thought these attacks would end, but as you can see, they are being carried out again and again,” he said.